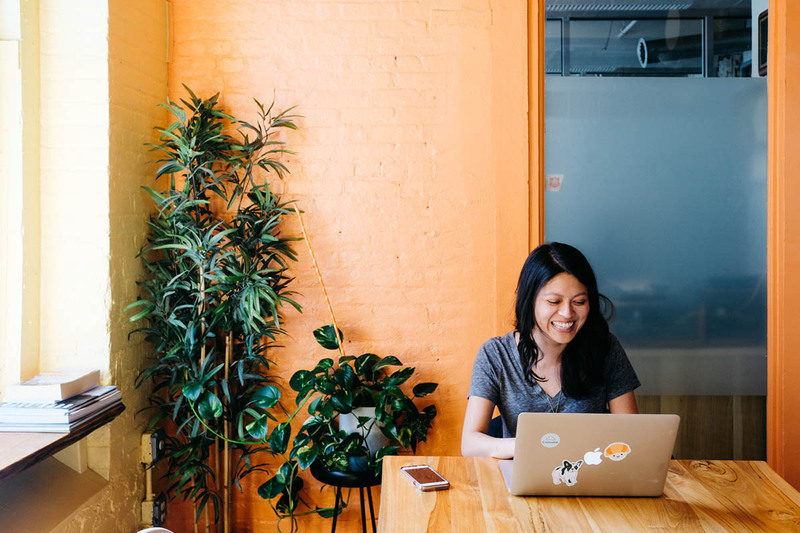 How remote work can benefit your productivity levels in the office. I’m a huge fan of flexible working. Granted, it’s the lifestyle I follow while working remotely for coworking app Croissant, but it’s proven to bring more health benefits and increase productivity for other teams. For the Croissant team, remote working brings different perspectives to our goals and different approaches to projects. Individually, it helps each of us self-manage and encourages us to get fun and creative. From your surroundings to your actual work schedule, you’re in charge of how and where to organize your day-to-day. Of course, you’ll still have deadlines and projects to manage, but remote workers have more freedom on how they’ll accomplish it. So you learn to be very self-sufficient as you set your agenda for the week, create that travel itinerary, schedule those Skype calls, and find reliable wifi. All of that freedom pushes you to add the structure that would suit you best, so you can actually achieve work-life balance. You can travel to different cities, post up at a coffee shop, or work at home in your PJs all day. You can start that project at the beginning of the week and do it in doses, or sprint through it in a day. It’s up to you how to prioritize your to-do list, as long as it gets done. Remote workers love this control. It’s personally tailored to your needs but also helps you organize and self motivate. Inspiration has no rhyme or reason when it strikes, so maybe that’s why the flexibility of remote work invites out-of-the-box-thinking. Where you’re working, what you’re working on, or what your day looks like can vary. More importantly, you’re the one making those calls. The lack of structure gives you the opportunity and encouragement to try new things. When you push yourself out of your norm, you expose yourself to new logic, new feelings, and new people, all of which open your own frame of thinking. The lack of rules is pretty exciting. You get creative on how to take advantage of your day. You could pack your bags and laptop to backpack and work in Europe for the summer. You could take on an afternoon aqua-cycling class. You could work alongside other urban nomads. You constantly seek inspiration for your everyday, because you don’t want your work to feel predictable. And remote work helps you define work in a fun way, so you can bring back that energy and creativity to any team project. Remote working sounds idyllic but it does take discipline. No matter your role, you’re still helping your team succeed for those quarterly goals. But, happily, you get to manage your life and your work in the way that suits you best. Georgette Eva is the Community & Events Manager of Croissant, the app that gives access to coworking spaces on demand and makes the world your office. Her and her team work remotely, exploring coworking spaces and new cities, but they’ll come together to cowork or even have a book club meeting over Skype.